Technology alternative to money for equitably linking the economic interests of people together. 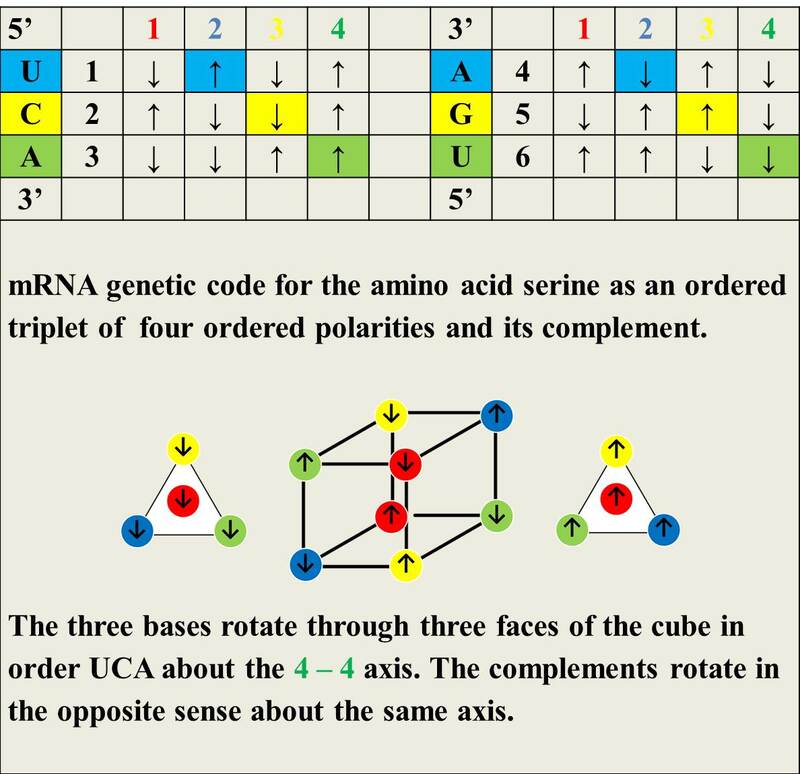 The genetic code is written in an ordered (5′ to 3′) sequence of bases selected from four different objects: A, U, G and C, each of which behaves as a complement of another: U ↔ A and G ↔ C. Each amino acid is coded by an ordered triplet of bases. The replication of the code and its transcription into a polymer of amino acids involves flipping between the code and its complement (3′ to 5′). Each triplet and its complement can represented as faces on a chiral cube consisting of two interpenetrating chiral tetrahedrons. For example, a representation for serine is provided below. The relationship between the genetic code and the mathematics described in this website is a matter of ongoing study.